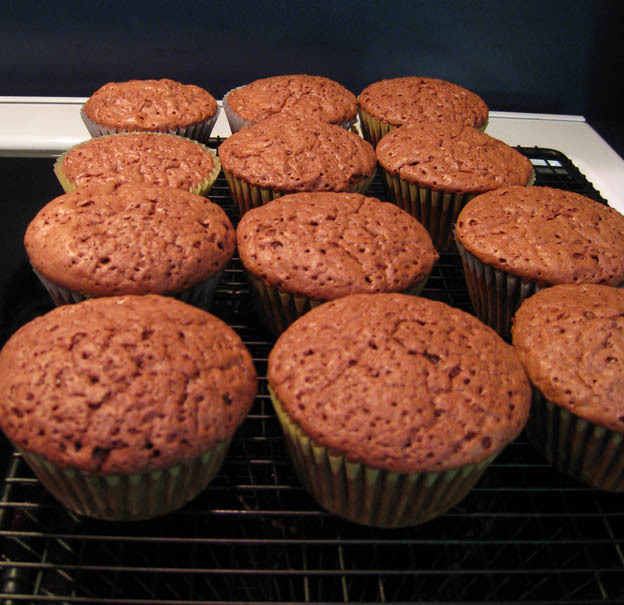 Trial and Error – Cupcake Recipe Taste Testing! | Talk Sweet To Me! 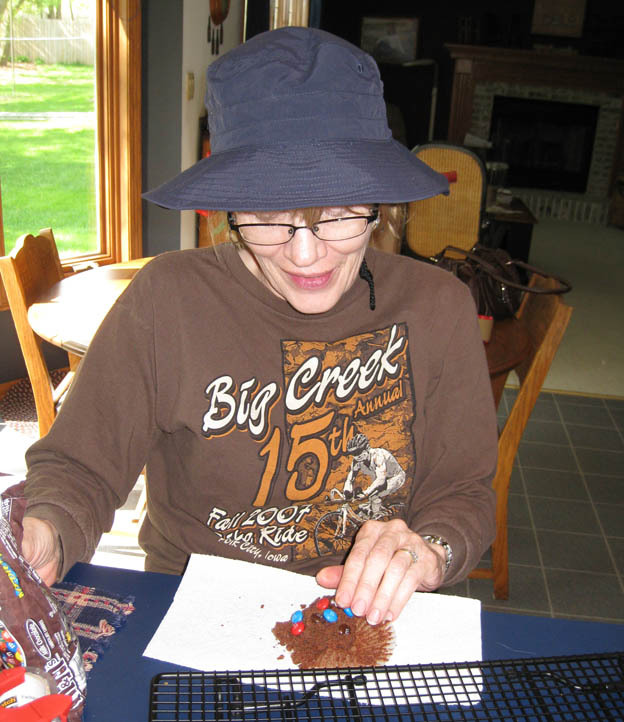 Trial and Error – Cupcake Recipe Taste Testing! 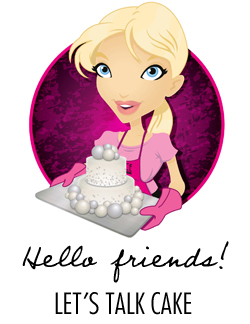 The following was originally posted on my first blog, The Planet Cake Intern, as I learned the art of cake decorating and began putting together the very first pieces of my cake business in Kansas City. My very good friend Louisa is getting married in California this fall and I volunteered to provide a cake for her wedding. She requested mint-chocolate cupcakes, since that is a favorite flavor combination (we ate waaayyy too many chocolate-mint brownies as roommates in college). Before the wedding, I figured I’d better find a great recipe and try it out. It was a good thing I did. 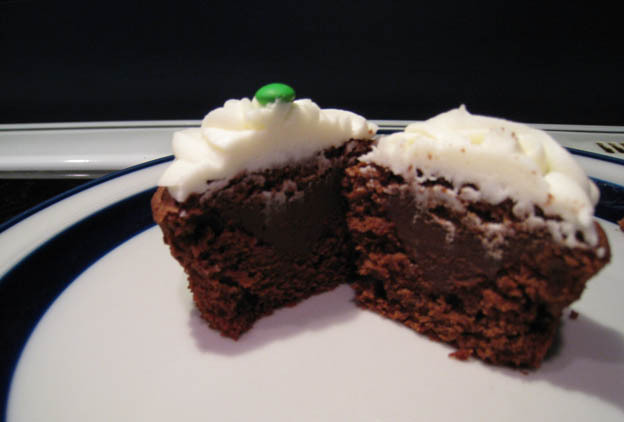 I found a cupcake blog with a recipe posted on it for chocolate cupcakes filled with a chocolate-mint ganache and topped with mint buttercream icing. Sounds out-of-this-world fabulous, right? So I baked up the cupcakes, made up the ganache, piped it into the cupcakes, and topped it with the recipe provided for the buttercream. Then it was time to taste-test for quality control. I brought in my mom, who is probably to blame for my sweet tooth, and who also has discerning taste. We both took a bite and…bleh! The first problem was that the cream for the ganache was infused with real mint leaves. It came out tasting like…plants. I’ll be using mint extract from now on. Then the cupcakes were so dry (even though I used moistening syrup) that they crumbled apart like dirt…and sort of tasted like dirt as well. So the end result was a bit too earthy. Dirt texture and taste, plant flavor, etc. Gross. On to trial #2. Trial #2 was a recipe from a cookbook that my mom has had forever. It wasn’t good either. However, my mom did get creative with the decorating part of things after coming in from the garden. Halfway through the tasting she says to me, “You know, you’re not the only one around here who can decorate cake.” Here was her creation. 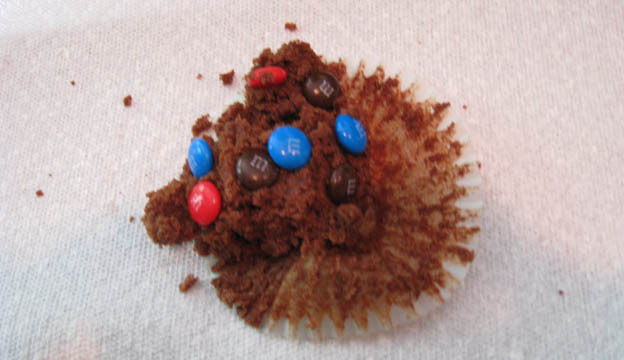 A half-eaten cupcake with some gorgeous m&m’s pushed into it. She makes me so proud! We had a good laugh about that. At least it could solve a chocolate craving. Trial #3 was from one of those cupcake cookbooks where you add stuff to a mix to try to make it taste like a scratch cake. The cupcakes were fairly good and stayed moist for several days, but they still taste like a mix and I still feel like I’m cheating. However, this form of “cheating” requires almost just as much effort as making cupcakes from scratch since you have to add cocoa, buttermilk, whole milk, etc. 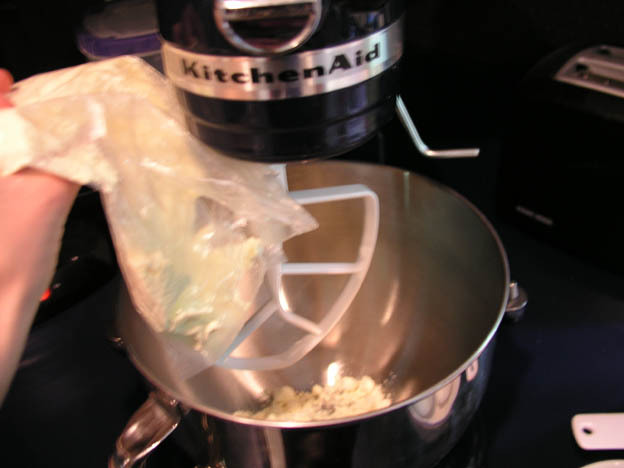 to the mixture anyway, and it creates just as much mess. I personally think it contradicts the convenience of using a mix and it just doesn’t make that much sense. If you’re going to make a mess and take the time to measure out ingredients, for goodness sake, just make it from scratch! I have to admit, though, that it is very convenient to make a cake from a box. You can’t mess it up, and it simply involves dumping the package into a bowl along with some eggs, oil, and water. So easy! For this trial, I used my own buttercream frosting recipe with mint extract added instead of the usual vanilla. That buttercream is definitely the winner and will be used in the final version. In the end, I have decided to use one of the recipes I discovered during my cake taste-test trials from my friend Katie (who is a fabulous baker and excellent taste-tester! 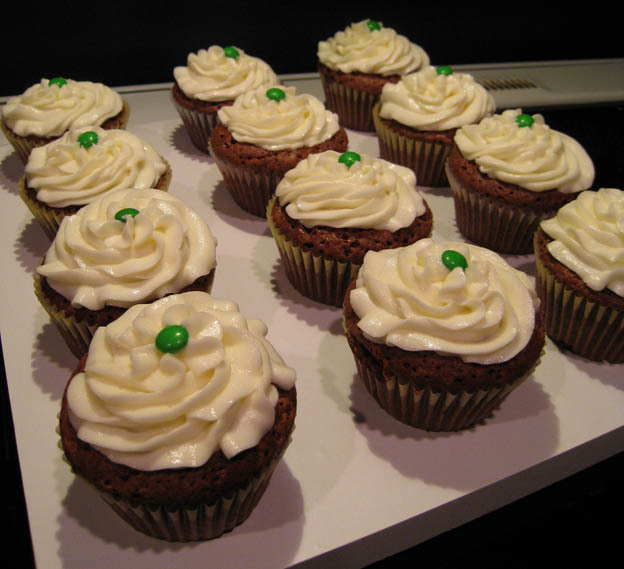 ), fill the cupcakes with dark chocolate ganache, and top it with the winning recipe for mint buttercream. Easy. 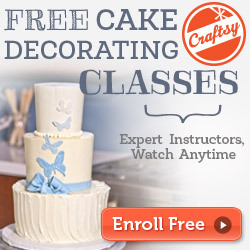 This entry was posted in Cake, Cake Baking, Cupcakes, Uncategorized and tagged baking, cake, cupcakes, wedding on May 9, 2014 by TalkSweetToMe.